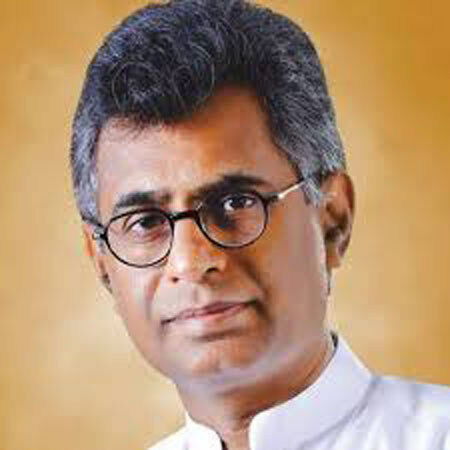 The people who failed to conduct protest campaigns when garbage mountains were dumped at Meetotamulla resulting in the loss of 33 lives are today engaged in bogus protest campaigns when a scientific solution is found to the garbage problems, Megapolis and Western Development Minister Patali Champika Ranawaka said. The Minister was speaking at the Mega Minds Program held at Dambulle recently. The Minister said that although floods, garbage, traffic congestion, slums and dengue were problems of urbanisation, the popular ideology in the past was outward city beautification by laying roads, pavements and placing flower pots. He said that when the Meetotamulla garbage mountain issue exacerbated, resolving it was entrusted to his ministry in 2017. Thereafter, the Ministry streamlined garbage collection in the city and introduced garbage segregation. Today, 90 per cent of garbage collected in the city was segregated. All degradable waste was sent to Kerawalapitiya and up as compost. The Ministry also planned a project to produce energy from Colombo’s waste and the project would be on line by the end of this year. He said that notwithstanding protests by interested parties, the Ministry had reserved a garbage yard at Aruwakkalu which could accommodate the garbage collected in the country for another 80 years. The Minister said he would request those organising street protests against the Aruwakkalu garbage yard to give up littering public and remote places with garbage and assist in creating a clean and safe Puttalam by handing over their waste to the Aruwakkalu sanitary landfill for three months and see the good results.